Iran is flexing its muscles as the U.S. places new sanctions on its Central Bank. Before President Obama signed the 2012 National Defense Authorization Act that included the measure, Iran began a 10-day exercise to showcase its ability to threaten the Strait of Hormuz. Iran later toned down its language but on Sunday, announced it tested its first domestically produced nuclear fuel rod and tested a new medium-range surface-to-air missile. On Saturday, President Obama signed the NDAA that paves the way for sanctions on foreign businesses dealing with Iran’s Central Bank, potentially dealing a severe blow to the Iranian regime’s vital oil exports. The Iranian currency fell to a new low after it was signed even though it will be 60 days before any sanctions are officially placed and up to six months for the toughest sanctions to be enacted. 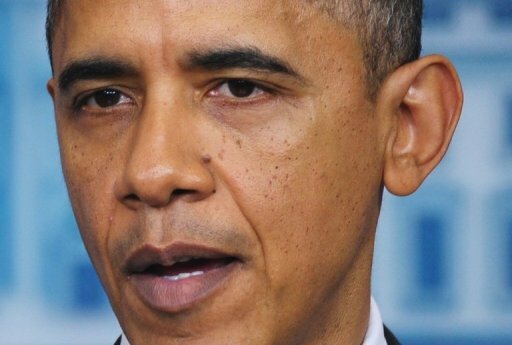 President Obama signaled that he would exempt some foreign businesses from punishment. He said that the legislation “would interfere with my constitutional authority to conduct foreign relations” so “should any application of these provisions conflict with my constitutional authorities, I will treat the provisions as nonbinding.” This statement indicates that Obama might protect European, Russian or Chinese companies doing business with Iran if he feels sanctions will have negative diplomatic repercussions. Officials say that the sanctions will be implemented carefully in order to avoid damage to the world economy. European countries are in talks with the U.S. right now about further sanctions and a possible oil embargo that could prove fatal to the regime. Sixty percent or more of the regime’s budget is derived from oil exports, about 18% of which goes to the European Union. The Iranian regime faces increasing political in-fighting, popular resentment, economic stress and strikes and protests by workers, including in the energy sector. The regime takes the threat of further sanctions seriously, so it threatened to close down the Strait of Hormuz through which 40% of the world’s oil transits. Iran launched military exercises to practice such an operation for 10 days. On Sunday, Iran test-fired a new medium-range surface-to-air missile near the Strait that it claims has advanced radar-evading abilities. On the same day, Iran announced that it created and tested its own nuclear fuel rod and installed it in a research reactor in Tehran. Fuel rods included pellets of enriched uranium and although they are not directly related to nuclear weapons, their production requires some of the same expertise and reflects Iran’s “increasing sophistication in nuclear fabrication,” explains Edwin Layman of the Union of Concerned Scientists. It has not been stated whether the fuel rod included uranium pellets. Iran also said it wants to return to the negotiating table over its nuclear program but that ending its uranium enrichment is not an option. Further sanctions against Iran seem inevitable. The last International Atomic Energy Program disclosed that Iran has a secret enrichment program, is working on a nuclear warhead and nuclear “triggers,” and has even made preparations for an underground nuclear test. Furthermore, in October, the U.S. revealed an Iranian-sponsored plot to kill the Saudi ambassador in Washington D.C. by blowing up a restaurant. The operatives also discussed attacking the Saudi and Israeli embassies in D.C. and Buenos Aires. And last month, two separate rulings blamed Iran and Hezbollah for Al-Qaeda’s 1998 embassy bombings and the attacks of September 11, 2001. If further sanctions are enacted, Iran will have to decide how to respond and whether to make good on its threat to shut down the Strait of Hormuz. Military expert Anthony Cordesman said that Iran would only be able to shut it down for “a few days to two weeks.” If Iran is seeking to scare the West and make the price of oil spike to alleviate its economic woes, then it doesn’t necessarily need to shut the Strait down. It can just spark an incident that will drive the price up. Iran has five mine-laying vessels, 200 missile patrol boats and about 2,000 mines, as well as a large fleet of speedboats, three Soviet submarines and an array of anti-ship missiles. Asymmetric attacks can also take place against oil tankers in the narrow passageway through attacks like the 2000 bombing of the USS Cole. These types of attacks are much more likely than a full-scale assault on the Strait. An editorial in the Washington Times makes the point that “it would be the biggest mistake the mullahs ever made,” destroying Iran’s economy and providing a basis for military action against it. The U.S. and its allies are finally talking about the type of sanctions that make the Iranian regime tremble, but time is short. Secretary of Defense Panetta says Iran may build a nuclear weapon within one year. We will be very lucky if 2012 passes without a major confrontation with Iran.